It could be because of lengthening replacement cycles; people now tend to keep their handsets longer before replacing them. It could be because of political and economic uncertainty, increasing penetration levels in many big markets, and skyrocketing prices of devices. For three of the five largest manufacturers, however, 2018 was a year of defying the challenges faced by the smartphone market. Huawei, Xiaomi, and OPPO all saw gains year-over-year. The latter — considered the No. 5 worldwide — achieved a modest 1.3 percent growth. 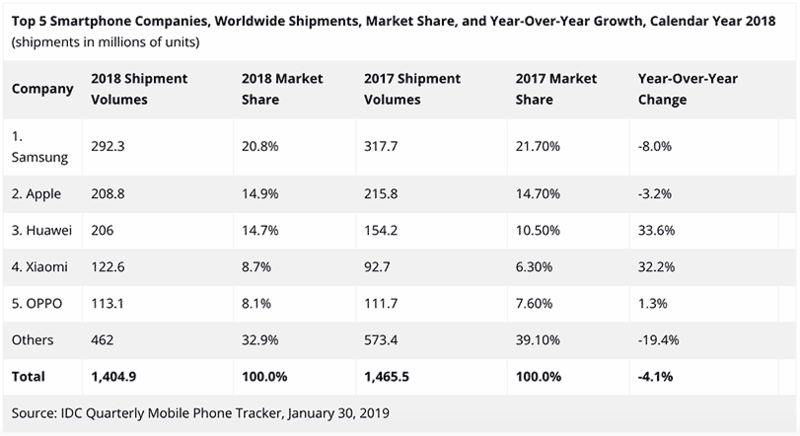 The biggest winners were third- and fourth-placers Huawei and Xiaomi, whose volumes were up 33.6 percent and 32.2 percent from 2017, respectively. The IDC revealed that Huawei did well not just in its native China but in almost every international market it entered. Incidentally, word just got out that the company jumped from 25th to 12th on Brand Finance Global 500 2019. In case you didn’t know, Brand Finance is a strategy-consulting firm that assesses thousands of well-known global brands annually. As for Xiaomi, the IDC said that it performed exceptionally well in a few markets in Western Europe, most notably Spain. Redmi — operating independently from Xiaomi starting this year — led in emerging markets, as expected. But its phones from the MIX and Max series became flagship contenders as well, thanks to their attractive price points. World No. 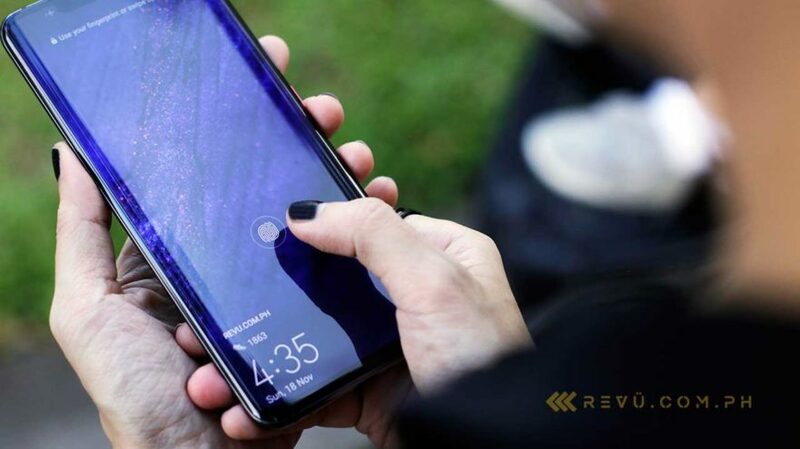 1 Samsung’s spot continues to be threatened, as it experienced another decline; its 2018 volumes were down 8 percent to 292.3 million. Second-biggest vendor Apple, on the other hand, saw a total iPhone volume decline of 3.2 percent for the full year. Read the full report here to get a more detailed look at the global smartphone market in 2018.